The furore over the suspension of Labour Party members and supporters by its NEC, and hence their exclusion from being able to vote in the ongoing Labour Party leadership election, has revealed deep-seated differences over what kind of party is necessary in a modern democracy. On the face of it, glaring injustices are being reported, where life-long Labour Party members are being suspended for allegedly not sharing the values which the Labour Party stands for. Twitter feeds are being trawled to discover if the member had ever expressed support for the policies of any other party, such as the Green Party. Even the general secretary of the Bakers, Food and Allied Workers Union (BFAWU), Ronnie Draper, who has been a Labour Party member for over 40 years, was informed he had been suspended without explanation. While “defectors” from the Conservative Party and Lib Dems are welcomed, those who have expressed criticism of the Westminster consensus on war and austerity are viewed with antagonism. Sometimes this is expressed as trying to take the Labour Party back to the Blairite days. 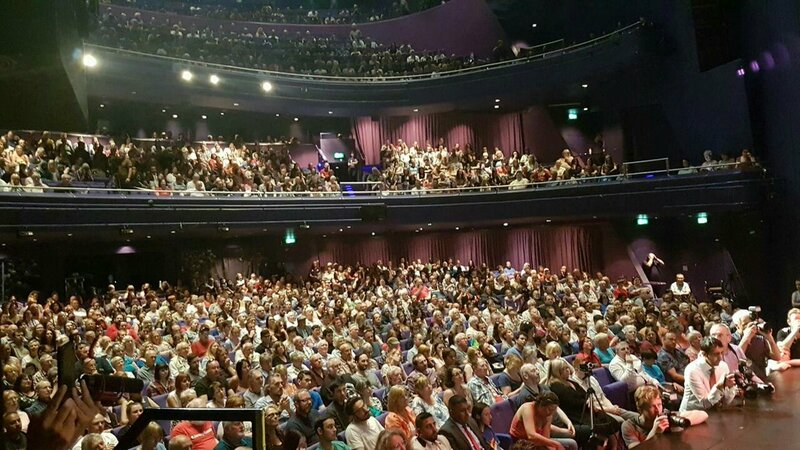 Corbyn himself has spoken of a new type of politics, and that this new type of politics is expressed as the Labour Party representing a social movement. Clearly at the very least there are different kinds of definitions of a political party at work. What is the background to this? People’s experience has been that more than ever the political system and institutions have been used to marginalise the electorate, not only depriving them of political power but of any access to a political process which would permit them to have a say in the decisions made in their name. Their experience has been that, far from being the mass parties which arose in opposition to the elite or caucus-party system of the 18th and 19th centuries, representing the demand of the masses of the people for empowerment, the Westminster parties had been transformed into gate-keepers of political power, managers of the affairs of state, depriving the polity of power. A political cartel of major political parties developed: parties judged according to their ability to manage the existing social system and the status quo with a neo-liberal agenda. 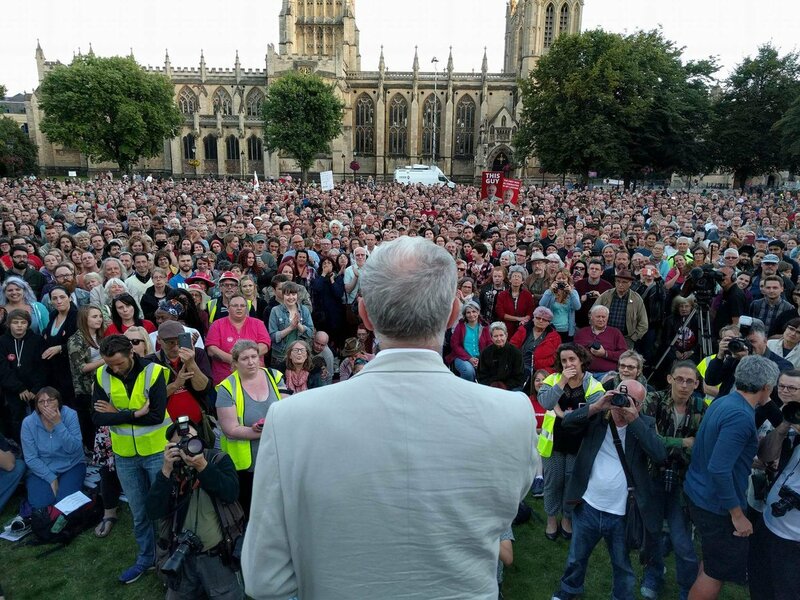 The Labour Party itself moved from a party formed in response to the demand that the organised working class should have a party of its own – a party to serve the interests of the working class and to represent its voice in Parliament – to what has been called a “catch-all party”. By the 1980s, the role of the main parties as the instruments of state management, requiring consensus over fundamentals and colluding to maintain their position of power, was so firmly entrenched that for the Labour Party not to follow the new agenda and reach a new consensus with the Conservatives would have ended its role as an established major party. Its very role as the Official Opposition had become defined in these terms. The party membership had increasingly taken second place to this role. Thus the issue cannot be simply that everything disastrous in society is the result of policies of a Conservative government. To demand that the governments must change their policies is the old way of doing things. Work for the creation of a new system through which people can exercise control over their lives must be developed. The starting point, in this respect, is the aim, the goal of creating new arrangements which favour the people’s interests. The monopolies have sought to impose their dictate as a matter of right. The Conservatives in government have pursued an agenda which favours this imposition and goes against public right, and this has involved the destruction of public and national authorities which stand in the way of privatisation and the rule of these monopolies. New Labour, as a fellow cartel party of the Conservatives, has competed and colluded in this agenda. Blairism became a by-word for warmongering and paying the rich. But the subsequent leaders spread illusions that not going so far or so fast would ameliorate the situation, while still upholding in practice that austerity was the only way. 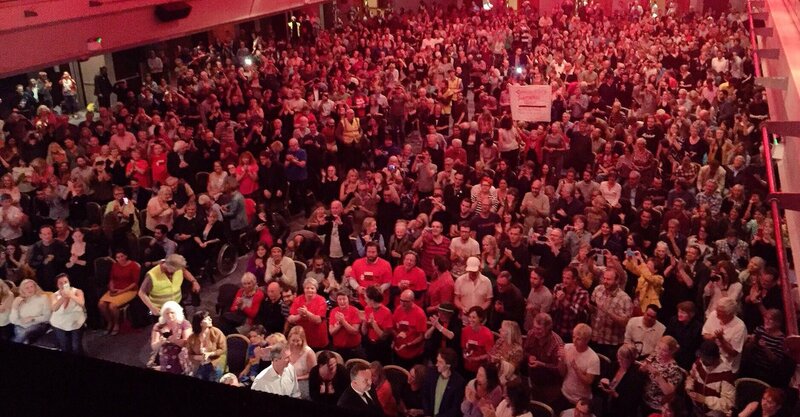 The reason for the success of Jeremy Corbyn has been that he was part of and came out of the workers’ and people’s movements, the movements against austerity and warmongering, and for the rights of workers, the right to organise. To support these stands was deemed traitorous to Labour as a cartel party. Thus the “purge” now of Labour Party members is not so much on whether there is support for Labour Party “values” or not, but as to what type of party it must be. To those that are entrenched in the cartel party system, the Westminster consensus, those that uphold the “reality” of politics rather than “utopian fantasies”, any appeal to a mass base, to a social movement, to the politicisation of the people, to participation in political affairs, is deemed beyond the pale, a threat to the status quo, to the “Westminster bubble”. Meanwhile, in the actual movements for a change in the direction of society and the economy, the people must fight for unity behind the aims of the movement, whether it be to safeguard the future of the NHS, to defend the right to organise, to strengthen the movement against warmongering, aggression, intervention and war governments. Within this, the question must be raised as to what kind of party can serve the needs of the people, the aims of the workers’ and people’s movements. Should it be a mass workers’ party, should the communists not unite to forge a party which upholds the short- and long-term interests of the working class, should the question of a mass communist party not be raised, should the social movements of the people not bring a party of labour to power? Maybe the prevailing view is that these questions have been settled, but if so they were not settled once and for all. A form of democracy is needed which is consistent with the interests of the working class and peoples to govern themselves and exercise control over their lives. The fact is that the ruling elite will not countenance the spectre of democratic renewal, which is of great urgency. Democratic renewal raises the issue of the empowerment of the working class and people. The very idea has caused a rift in the Labour Party and explains the attempted coups by any means against Jeremy Corbyn’s leadership. It is not really a question of the “left” against the “right”. It is more a question of occupying the space for change, and thoroughly discussing the question of what kind of party. Certainly it appears that the issue has yet to be settled in the Labour Party itself. It may yet be ascertained that the policies formulated by Jeremy Corbyn as Labour Party leader will not be attainable with a party of the old type and without democratic renewal. Arrangements are required which are in step with the times. 1 Response to Labour Party Leadership Election: What Kind of Party is Necessary in a Modern Democracy?